I couldn’t communicate with a HART device. 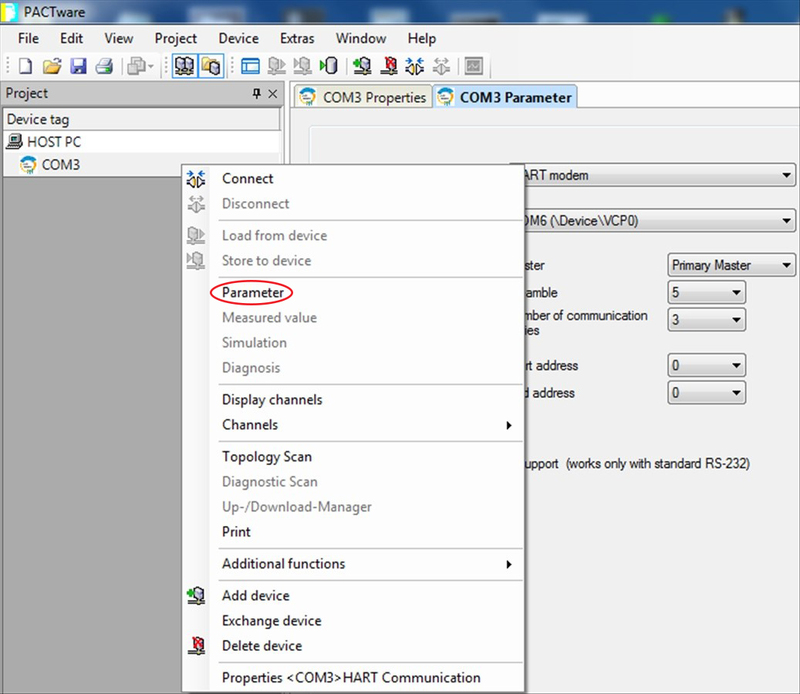 The configuration software I was using, Pactware, thought the USB HART modem was on COM 3, while Windows’ Device Manager showed it was actually on COM 6. The Parameter tab came up in the work area. 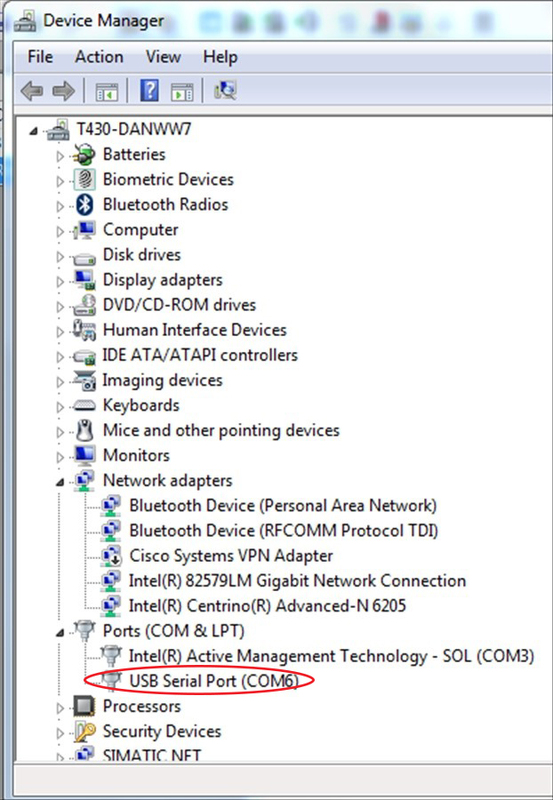 I clicked on the serial interface drop down arrow to bring up the drop-down list of COM ports and selected the correct COM port as reported by Windows’ Device Manager, in my case COM 6. The project showed the newly changed COM port, now COM 6. The catch is remembering that the COM port selection in Pactware is not a property, it’s a parameter. 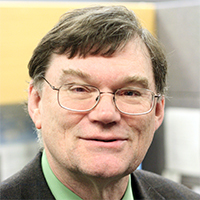 This entry was posted on November 4, 2015, 7:20 am and is filed under Communications, Configuration, HART, Troubleshooting. You can follow any responses to this entry through RSS 2.0. You can leave a response, or trackback from your own site. 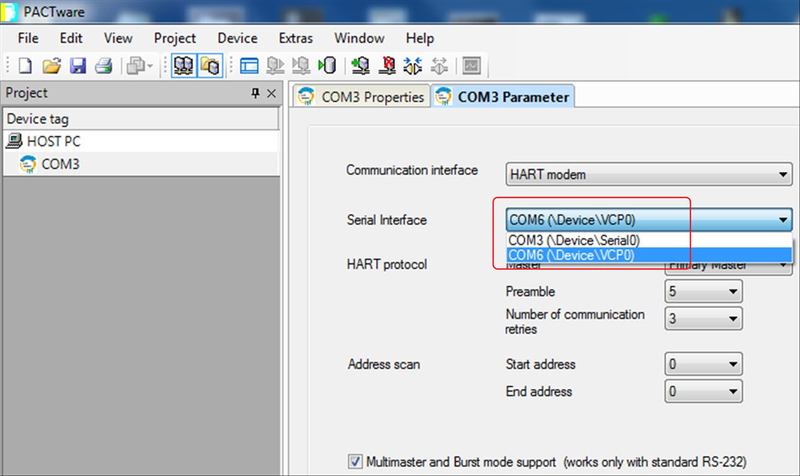 If you are not able to communicate with a hart device by using pactware software go through the troubleshooting given in the link.